Let’s give a warm welcome to the newest members of our congregational family! 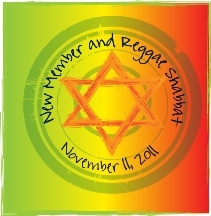 Join us for the New Member Shabbat Dinner and Service on Friday, November 11. Josh Friedman along with a band will join Cantor Reinwald and Rabbi Cohen for a Shir Shabbat Service filled with uplifting and spiritual music that will enhance our Shabbat experience. Rabbi Cohen and Cantor Reinwald will give a special blessing to all of our new members. Dinner will be catered by Parties by Panache.